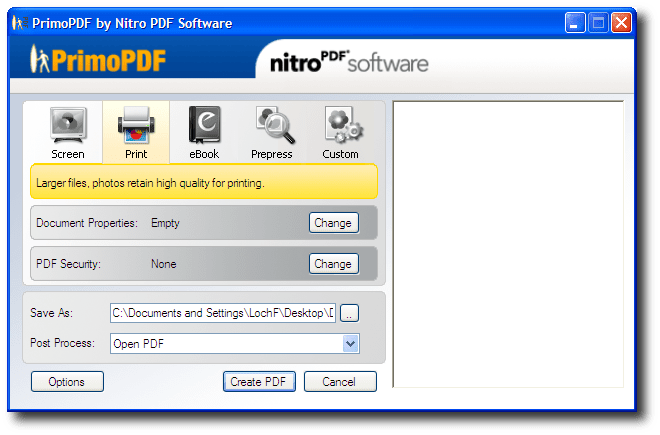 PrimoPDF is a freeware easy-to-use PDF creator for Windows platforms by Nitro PDF Software that can create PDFs from any application that you can print from. You will see that there are five output options for Screen, Print, eBook, Prepress and Custom. Each option will vary the quality of the images and the resulting file sizes. 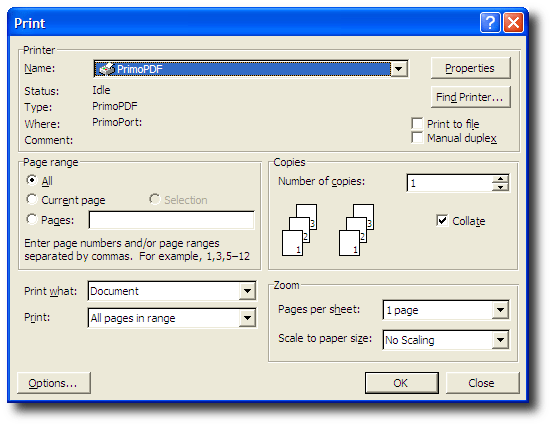 Once you are happy with the settings just click on the “Create PDF” button to generate your PDF file.